For most people, the thought of reading an Annual Report is enough to make your eyes go blurry, but it doesn’t have to. 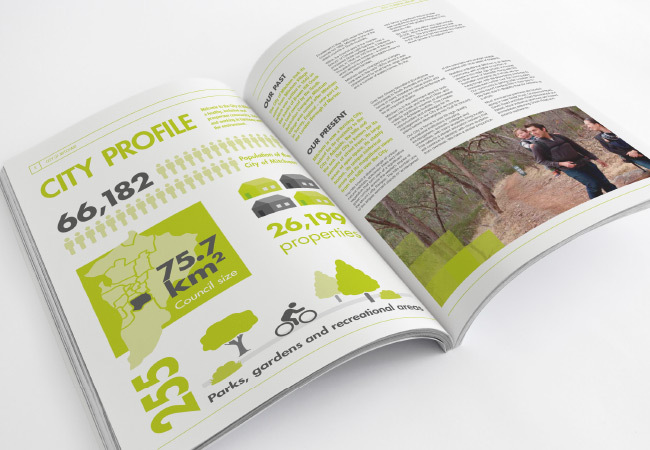 If designed well and presented in the right format, Annual Reports are a great way to present milestones from the previous year, as well as highlight your company’s unique culture—without 10 point type and 30 pages of tables. 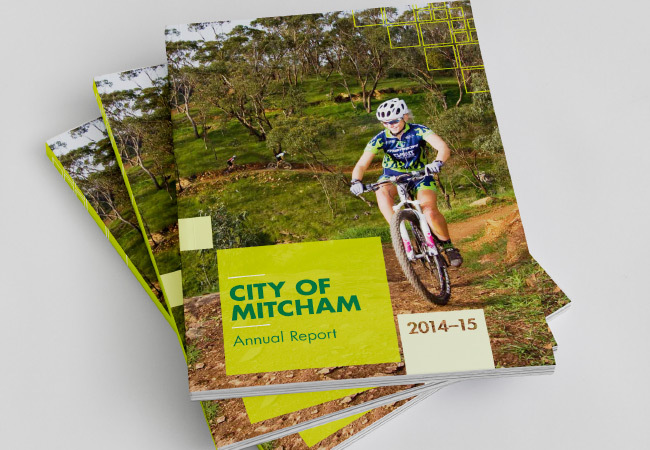 For our client City of Mitcham, we designed their Annual Report to be bold and engaging. 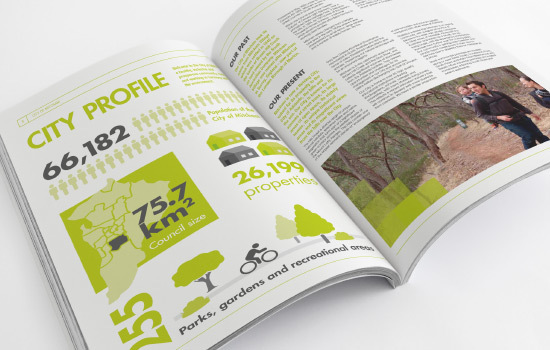 Introducing infographics to easily communicate complex data and bespoke design elements ensured maximum impact without the yawn.